* 檜山哲哉・三枝信子・渡辺力，2001 : AsiaFlux 国際会議（International Workshop for Advanced Flux Network and Flux Evaluation）報告．天気，48(2), 89-93. 高木健太郎・溝口康子・鈴木智恵子，2001 : AsiaFlux ワークショップ2000（International Workshop for Advanced Flux Network and Flux Evaluation−Kick off Meeting of AsiaFlux Network−）報告．生物と気象，1(1), 23-28. 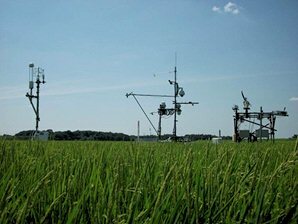 * Rho, C., Kim, J., 2002 : The second AsiaFlux Workshop to Advance Understanding of Ecosystem Fluxes in Asia. AsiaFlux Newsletter, 1, 3-4. * Yu, G., 2003 : Report on the International Workshop on Flux Observation and Research. AsiaFlux Newsletter, 8, 1-2. 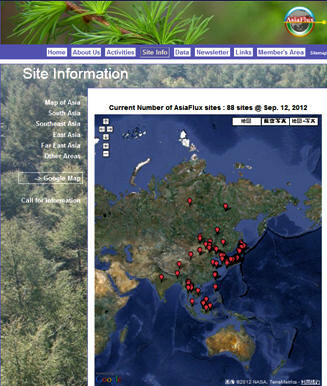 安田幸生・高木健太郎，2006 : AsiaFlux ワークショップ 2005（4th AsiaFlux Workshop）の報告．生物と気象，6(1), 11-14. * 小野圭介・平田竜一，2007 : International Workshop on Flux Estimation over Diverse Terrestrial Ecosystems in Asia - AsiaFlux Workshop 2006 - の報告．生物と気象，7: D-1. 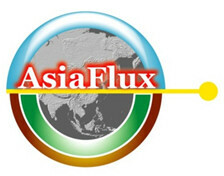 * Hsia, Y.-J., Chang, S.-C., 2008 : Report on AsiaFlux Workshop 2007. AsiaFlux Newsletter, 24, 1-4. * 植山雅仁・齊藤 誠・滝本貴弘，2008 : Re-Thinking Global Change Science: From Knowledge to Policy - AsiaFlux Workshop 2008 - の報告．生物と気象，8: D-3. * 大久保晋治郎・安立美奈子・小野圭介・本岡毅・西村渉・奥村智憲・安宅未央子・近藤雅征・望月智貴，2009 : AsiaFlux Workshop 2009 - Integrating Cross-scale Ecosystem Knowledge: Bridge and Barriers - の報告．生物と気象，9: D-2. * 奥村智憲・安宅未央子・近藤雅征・望月智貴・吉村謙一・見竹康啓，2011 : AsiaFlux Workshop 2010 — New Challenges of Fluxnet Community to Resilient Carbon/Water Management — の報告．生物と気象，11: D1?6. * 斎藤琢・坂部綾香・吉澤景介・鎌倉真依・安立美奈子・平田竜一，2012 : AsiaFlux Workshop 2011 “Bridging Ecosystem Science to Services and Stewardship” の報告，生物と気象，12, D3-9.